Happy St. Jean Baptiste Day, Quebec residents! This is the last post before the special podcast that features artists from Quebec. I thought I'd try something a little different today, and just picked an artist at random. 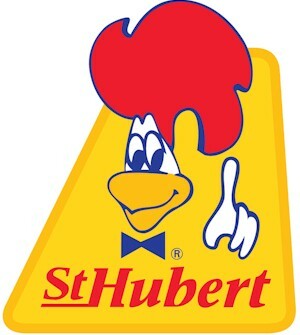 I lucked out, in that I ended up picking an artist from Saint-Hubert, Québec (hence the logo of one awesome French-Canadian restaurant chain - their version of Swiss Chalet). The group is Metatronik - and as far as I can tell, their name stems from a combination of "Metal" and "Electronic". Their album, Tortured Mind, is all instrumental, and is sort of a combination of metal and 80s synth pop. The result is rather interesting, and just oozes talent. I can't imagine how difficult it is to drum and strum like they do. If there's one thing I definitely will never be, it is a musician who plays in a metal band. Metatronik is the music that comes out of one man's head: me, Kevin Lorrain, a guitar player that tried for years to form a band but never found the right musicians. So I decided to compose everything myself. What kind of music is it you ask? Well, it's metal, it's electronic, it's instrumental, progressive, agressive, melodic... it's Metatronik. Oh, and do yourself a favour and check out their website. It's very entertaining. Postscript: It turns out that I've been referring to Metatronik as "they", when it seems to be a "he" - Kevin Lorrain. I'm not entirely sure, but I also didn't do much research. Either way, check out Metatronik if you like metal.